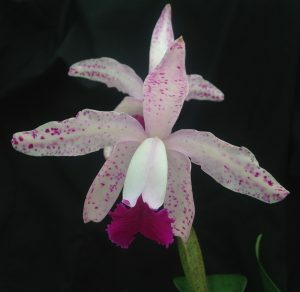 This is a bi-foliate Cattleya from Eastern Brazil where it grows as a lithophyte on rocks at around 500m altitude. When grown well it has tall bulbs and up to twenty flowers on a spike. To match its habitat it enjoys warm bright conditions and a well drained compost. We find it does best in a basket with just course bark. 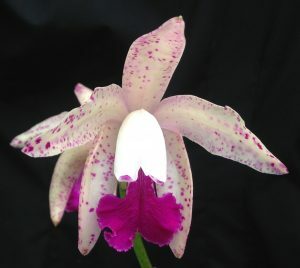 The lithophytic orchids we have seen in Brazil in similar conditions produce abundant roots that cling to the rock and are able to collect ample water when rain falls but dry out completely for periods in the dry season (our winter) when not in growth.